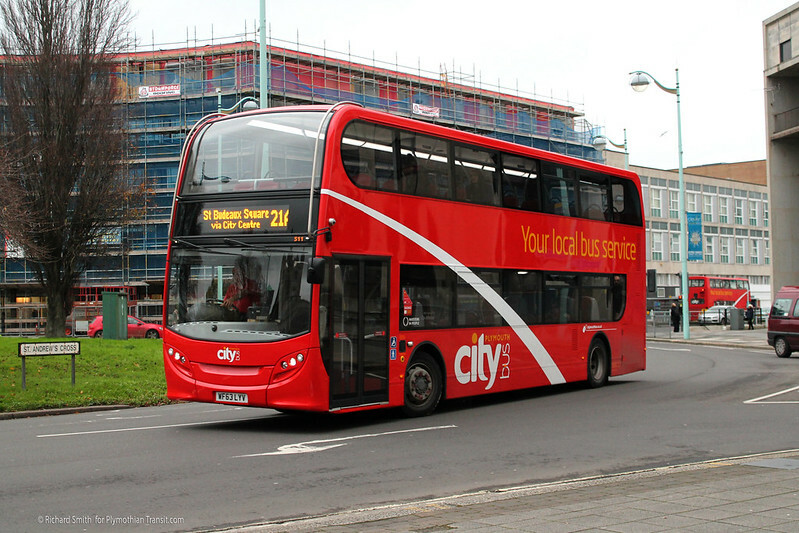 Plymouth Citybus has been swapping liveries across its Enviro 400 fleet. comes out to play in swoops! I do like the small red fleet number on the front. Black Friday Special for one day only: this five photo Feature is 20% off! 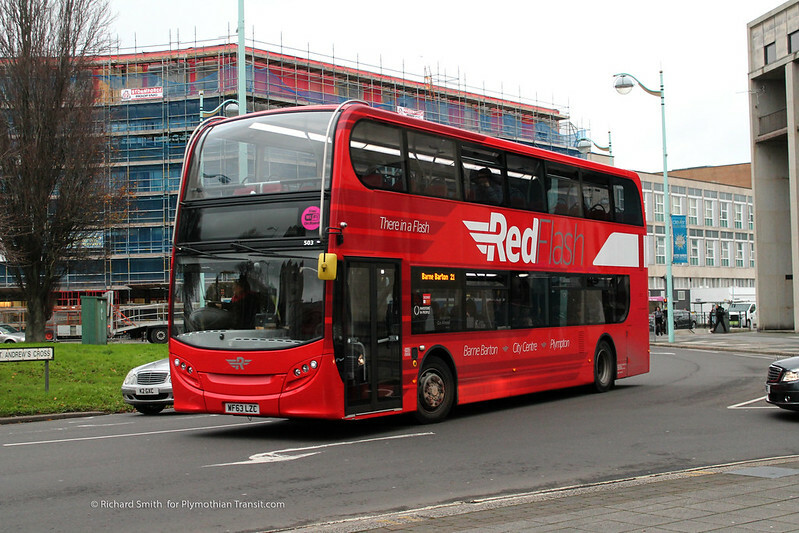 I think it could be because of the Wi-Fi, Plymouth citybus might not want on other routes like the 33, 51, 51A ect. where they would only get the bus every so often where as the red flash is more regular and highly more likely to see the same bus. If the PVR is reducing again as a result of the reduction from 7 to 10 minutes it would make sense for a reduction in RedFlash liveried vehicles. Doesn't make much sense taking vehicles mid sequence out though, if it were 515-519 to normal livery and 501-504 in flash then at least the numbers would remain in order. Not that a minor detail like that should make much difference though! I agree It may not make much sense taking vehicles mid sequence for repaint into a different livery, but 511 was subject to nearside bodywork repairs which required a repaint on completion, hence why it is now in standard swoop livery. Bus 77 was back in service approx. 27th August 2015 so is very much on the road. Yes, this is the problem of showing the bus as "withdrawn" when in fact "VOR" (vehicle off road") would be a better description. 77 was off the road for a period of time whilst accident damage repairs were carried out. 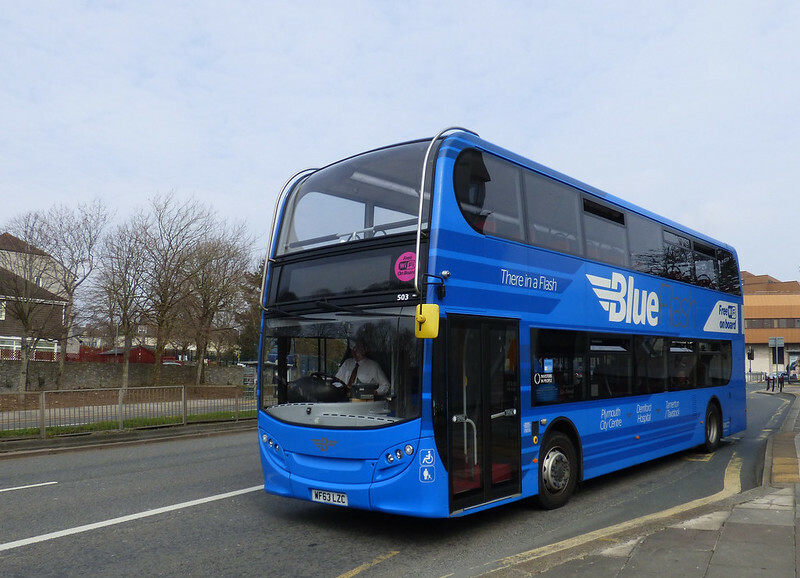 Unfortunately errors can be found in many enthusiast fleetbooks and fleetlists, for example ukbuses shows that First South West Dennis Darts 40033-7 are Volvo Olympians with Alexander Royale bodywork!. 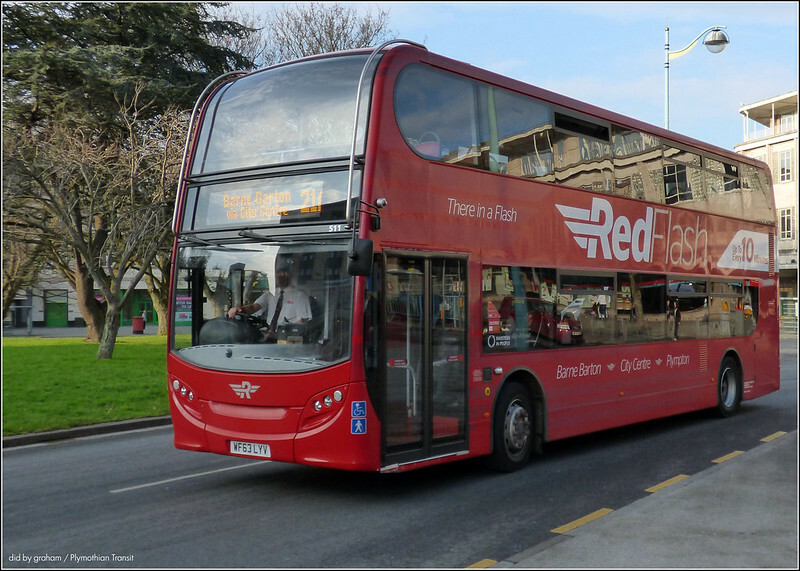 It is difficult to keep fleetlists continually up to date, but may I suggest for info on the Plymouth Citybus fleet you use the fleetlist on this site which Graham does keep as up to date as he possibly can. Anyone know what is in the spray shop? Bus 65 has been in there and out of the bodyshop for a couple of days. Hope fully it wont be long til its back on the roads!! !